MemoriesOnTV has been around for more than 3 years, and has been used by thousands across the globe to share their special moments on TV. Ken Burns Effect - Bring your digital stills to life, using the Ken Burns pan and zoom effects as you've seen in professionally made documentaries. You have absolute control over panning & zooming, or you can leave it to the software to do it automatically. Video Import - Don't restrict yourself to still photos. Bring life into your movie by importing video clips from your cameras. All common formats are supported (QuickTime, AVI, MJPEG, Mpeg-1). What's more, you can append stills to videos, videos to stills, or even videos to videos. The possibility is endless. New visual effects - MemoriesOnTV includes some of the most visually elegant effects available in slideshow software. You will see your photos ripple into one another like raindrops from the sky; or clouds flying through them and fading them off. Most of the effects are customizable, giving you virtually an infinite number of effects. DVD Authoring - Authoring DVD has never been easier. 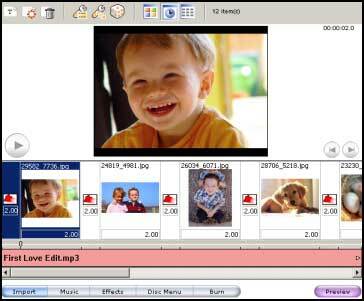 Unlike most other software, you do not need to use any other software for creating DVD's. All the functions you need are built right into MemoriesOnTV when you have the Mpeg2 Plugin installed. Besides DVD, MemoriesOnTV supports VCD and SVCD as well, which are playable on many DVD players. Share your slideshows over the Internet via Web Export (Pro edition only). Web slideshows are created in Flash, which means that it is playable out of the box on 96% of all web browsers (PC & Mac). Superior Workflow - Our users have testified this. 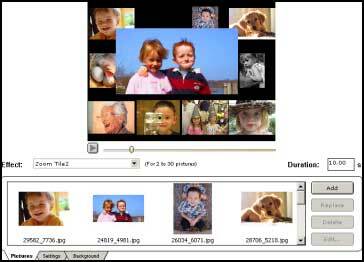 MemoriesOnTV is simply the easiest to use slideshow software. Be it applying the same music settings to all albums, or adding text captions directly onto your photos, you will find that you can perform all tasks in the most natural and intuitive way. Output file extension wasn't checked when path is keyed manually for MultiPicture Slide. Fixed.